Spare and unsparing, God Help the Child is a searing tale about the way childhood trauma shapes and misshapes the life of the adult. At the center: a woman who calls herself Bride, whose stunning blue-black skin is only one element of her beauty, her boldness and confidence, her success in life; but which caused her light-skinned mother to deny her even the simplest forms of love until she told a lie that ruined the life of an innocent woman, a lie whose reverberations refuse to diminish . . . Booker, the man Bride loves and loses, whose core of anger was born in the wake of the childhood murder of his beloved brother . . . Rain, the mysterious white child, who finds in Bride the only person she can talk to about the abuse she's suffered at the hands of her prostitute mother . . . and Sweetness, Bride's mother, who takes a lifetime to understand that "what you do to children matters. And they might never forget." I've previously mentioned my love for Toni Morrison and her stunning novel Beloved (if you haven't read it, seriously, stop everything and just read it; I'll wait). Morrison is without a doubt one of my favorite writers. She is a literary giant, among the great writers of the world, many of whom have already died. As such, their canons are static. Whatever we have now is all that we'll ever have from them. Which is what, in part, makes me so excited about Morrison. The fact that someone who is so brilliant and such a master storyteller is still writing and publishing, creating new literature for readers to enjoy and to be challenged by... well, that makes me endlessly excited, and maybe it sounds corny, but it makes me feel really lucky. It's not often that writers who are so good, who create literature that is so moving, groundbreaking, and important exist in the same world that we do, changing how we think about ourselves and the world around us. And I feel lucky to live in a world with Toni Morrison, to see her work come off the presses and into our discourse, to be affected by her work in the moment that she presents it to the world. That's a unique gift that future generations will not have, and I treasure it. 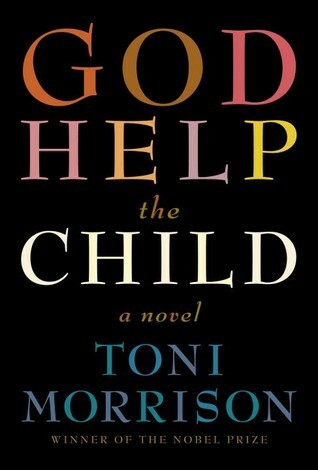 Is anyone else excited to read God Help the Child when it comes out? What books are you most looking forward to? 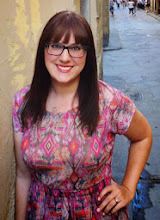 I had no idea she had a new book in the works! This is very exciting, though it also makes me feel even more behind on my to read list because Beloved is still sitting there waiting for me. Neither did I until a couple of months ago! I'm thankful for literary friends who are more in the "know" than I am. I can't wait to read this one!